A place of pre-eminent religious importance, Garh Mukteshwar comes alive during a bathing fair held here on the full moon day of Kartika. The celebration of this grand fair is marked every year in the month of November in winter season. Devotees in the number of over 3 lakhs come here to attend this fair with their friends and families. Kartik Fair seems to have taken place since Mahabharata period. The history of Kartik Garh Mela, which is situated on the sandy plains of the Garh Ganga Khadar region on the banks of holy river Ganga Mai, is also about five thousand years old. After the devastating war of Mahabharata, there was a great disgrace in the minds of warrior and genocide in Dharmaraj Yudhishtir, Arjun and Krishna’s mind. How did the souls, brothers and innocent persons killed in battle get the soul’s peace and how to complete the death ceremony, There was a serious discussion on this. Vedas Upanishads and Puranas were studied. 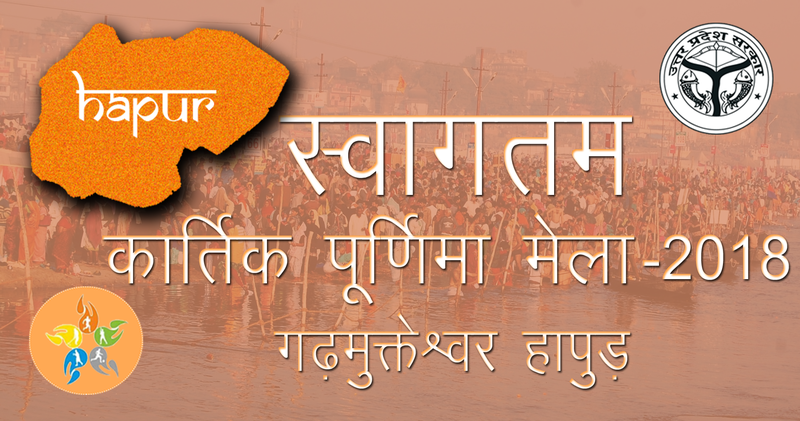 All the scholars, unanimously, decided that all the rites would be completed after bathing in Ganga Maiya and worshiped by Lord Parashuram at the place called Shivbalbpura, worshiping Mukteshwar Mahadev and worshiping Yajna. All scholars of this decision were welcomed with a vote and after that auspicious time was passed. After worshiping the Ashtami of the Shukla party of the Kartik month, took bath in Gangaji and gave Ekadashi a religious ritual for the upliftment of all the ancestors in the sandy plain of Gangaji. This Ekadashi was called Devupthan Ekadashi (God Raising). All the persons killed in the battle from Ekadashi to Chaturveda were sacrificed for the peace of the soul and the devotees were offered devotions to the heavenly souls on the evening yagya Sammpanapar. The next day Purnima was worshiped after bathing. Thus, it was a week’s satisfaction when it was a religious festival. From then on there is Kartik Fair. Amidst the crowd and hustle bustle of the fair, children and senior citizens often get separated from their family members. Children who are below the age of 10 years often do not remember their address and other details with the help of which their home and families can be located, and the old members above the age of 70 years cannot verify their details. With such lack of details it becomes difficult to locate their families and eventually they turn homeless and orphans. Kartik Purnima Garh mela Mobile App Solution is the project that aims to avoid this situation by integrating technology with the system and help the missing people relocate and reunite with their families. The unique tag id (which has the QR Code & RFID Built In) issued to the children and senior citizen registers them in the database with their details and is used to locate the details of the missing person.